I am fairly new to the idea of coloured eyeliners. Until six months back,my eye makeup primarily involved black liquid eyeliner but after being introduced to this whole new world of beauty blogging,I thought its never too late to give a new product a try.The obvious choice of colour other than black (no not the blue one) was brown and using that gave me the guts (yup, I always thought eyeliners other than black were majorly OTT) to try my hands on a blue one! Define eyes with a bold and glamorous look with an unexpected glisten of sparkle. Long wearing,smudge proof shades glide on smooth and keep the glimmer going with all-day drama or night-time glamour. Packaging: AVON Glimmersticks Diamonds Eyeliner in Twilight Sparkle G42 is a pencil eyeliner and comes in a retractable pencil. The shade name,number and the colour itself is there on the pencil.Being retractable the pencil doesn't need sharpening (this saves a big hassle and quantity too).The pencil has to be twisted in order to get the product out like in all other retractable pencils,so this is no brainer. Pigmentation:This shade in particular is quite pigmented. A single swipe of it makes the colour pretty visible.Though the beauty of it comes out in 2-3 swipes! Staying Power: Now this is the USP of this eyeliner.It stays on and on and on..3swipes of it,you're good to go and it will stay put for atleast 6hours.It is waterproof so won't come off easily.It is smudge proof as well which provides it even more longevity. 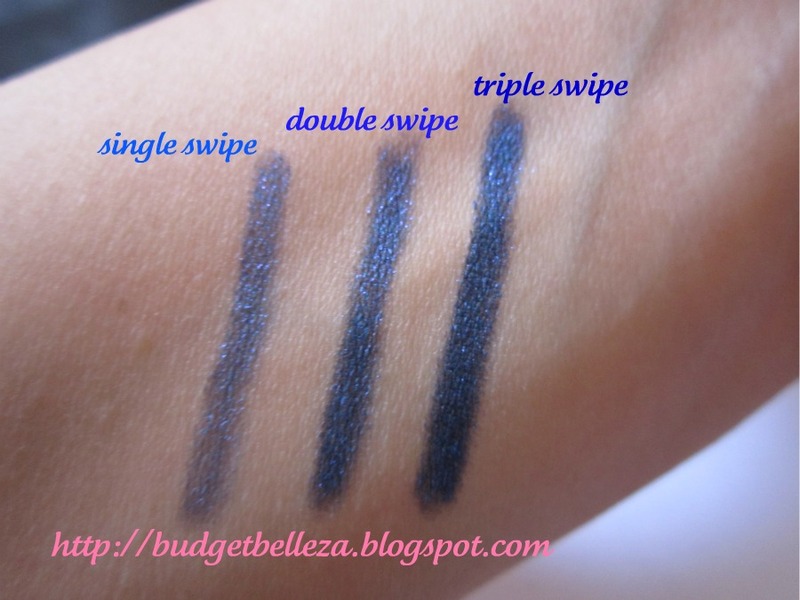 The shade I'm reviewing is Twilight Sparkle.Its a deep royal blue shade. Its highly buildable so different number of swipes give different colour pay offs.In a single swipe it looks less bright dark blue with little shimmer.But after 3-4 swipes comes a deep royal (a bit of navy) blue which is marvelous (This shade in particular goes wonderfully well with blue denims). The sparkle is quite chunky and makes it a little less wearable during the day time to some beauties.but I love it and wear it whenever it coordinates my dress! 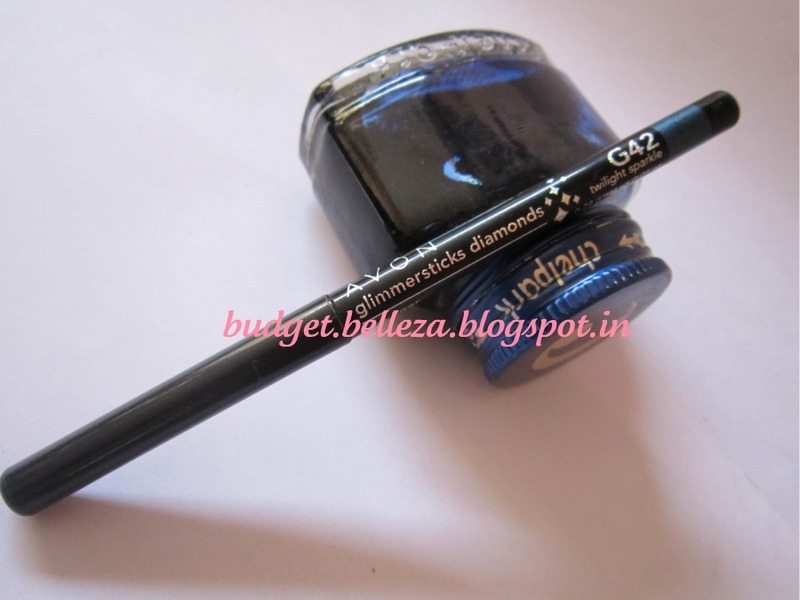 My Take: AVON Glimmersticks Diamonds Eyeliner in Twilight Sparkle G42 happens to be my second pencil eyeliner and first blue eyeliner.Though I grabbed it primarily because of the drool worthy offer (to be honest),I totally love it now.I was always a black kohl and black eyeliner person...never too much into eye makeup,but this product made me realize what I was missing on.Being beautifully coloured and having shimmers as well,saves the effort of applying eye shadow when on the go,as it instantly brightens up the eyes.The shimmers in it are quite noticeable still they don't make you look like a DB. Being buildable it will suit many tastes.The staying power as I mentioned earlier is amazing.The only con is that even after the eye liner is removed,the glitter particles are still there (even after using makeup remover and then washing off with a cleanser)scattered all over the face.Secondly,one out of ten times it did sting my eyes when I rubbed them mistakenly.I guess the glitter particles are to be blamed for this (but then what is the need to rub your eyes when you have eye makeup on..hehehehhe). 1.The shade Twilight Sparkle is beautiful. 2.Retractable thus no sharpening required(so no product wastage). 4.Pencil eyeliners are good for beginners. 6.Colour depicted on the bottom of the pencil. 2.Needs oil based makeup remover (can't be just washed off). 3.May break if too much is twisted out. 5.Glitter particles are tough to get rid off. 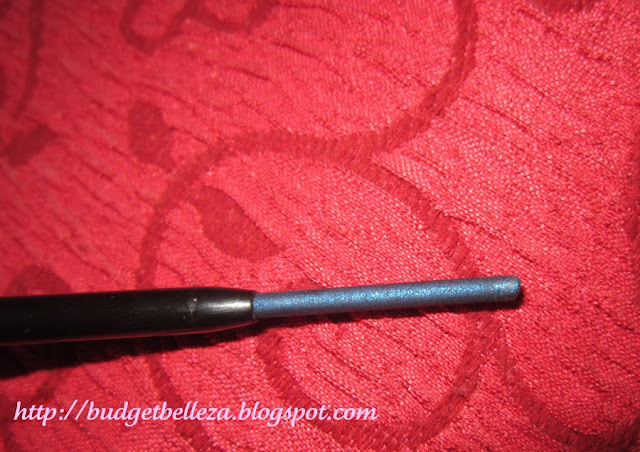 Last Word: Except for the fact that the glitter particles stay back even when the eye liner is removed,I don't see any other major con with this product.I like it and often use it! awww.. whrs the review dear :) I just got ur feed email..
@Rekha- There was some issue dear..got resolved..u can enjoy reading now! @Rekha- thanx yaa..im still taking baby steps!!! It looks nice :) Great review!!! @Rakhshanda-Thanx so much dear :) and yup the pay off is really nice,better than the pic for sure! Wow! 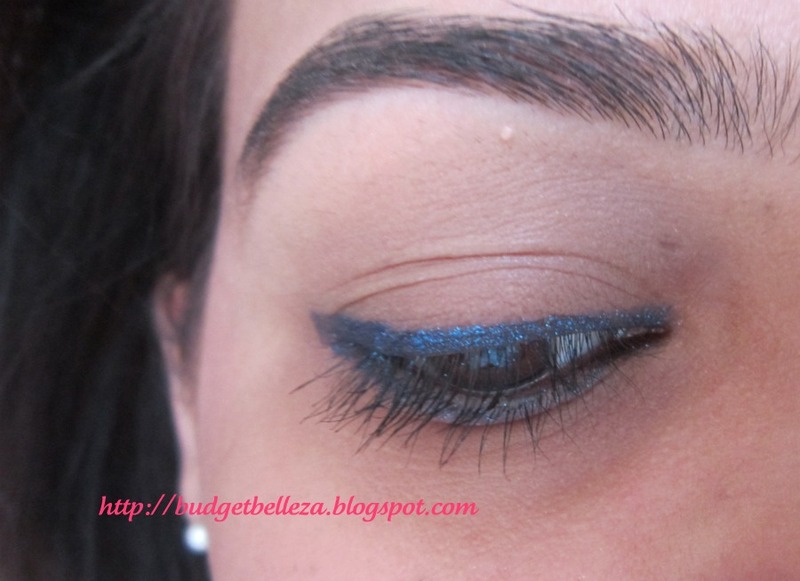 Glittery eyeliner is so gorgeous! I definitely want to buy some now! I like the black colour of this one, so you can still wear it with anything. Could you do a review on Barry M glitter crayon eyeliner sticks? I love your reviews so much! They're so trustworthy! Beautiful shade, and great post! I love your blog so I'm now following it. 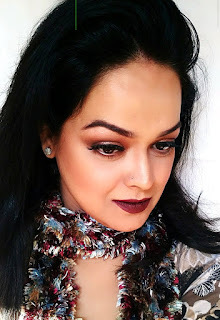 i have grey shade from this range................ and i like it..
@Lancy-Thanx dear..do try it out! @Miss Iffa-I'm sure the black one wud look gorgeous..nice to know u like my reviews.As for the Barry M glitter crayon eyeliner sticks review,i don't have one at the moment:(..Im surely gonna review it for u,once I get it! @Flavya- Thanx Sweety..me following back! Looks great; thanks for showing and reviewing. i like this...i am this is also available now in avon philippines.